PFL’s Tactile Marketing Automation® (TMA®) works with digital channels to create an amazing customer experience, even before someone is a customer. Integrated tightly with Eloqua, the solution makes it simple to send dimensional mail from within Eloqua. Marketers using Eloqua can add dimensional mail into new or existing campaigns, ensuring personalized, high-touch mail delivery and tracking to enhance campaign efforts and drive conversions. TMA brings fulfillment to your nurture campaigns. 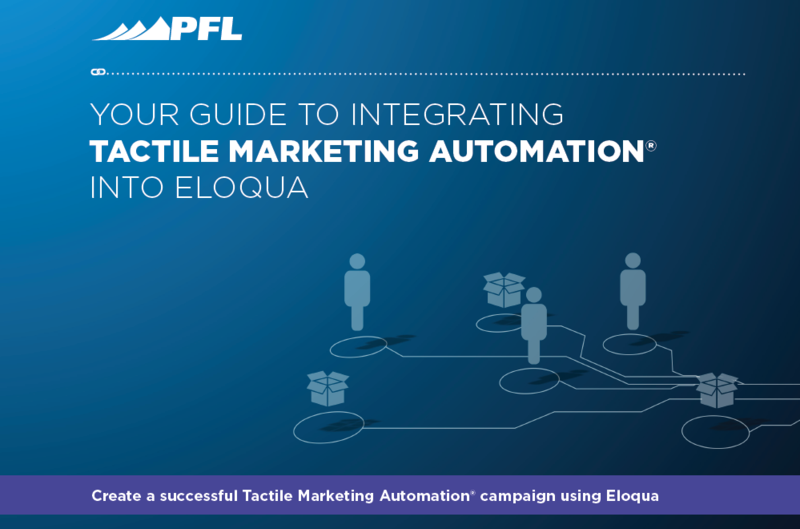 It is simple: just another automated step in your Eloqua workflow. This user guide will help you use the solution in some of the most common scenarios. At the end of the guide, you’ll find links to resources that’ll help you go even further with TMA and Eloqua. Getting help from DemandGen as an Eloqua expert, we can guide you through the process is another great option.